This is a small narrated group tour by van. At Whitney Plantation's Louisiana Museum of Slavery, see the harsh realities and raw historical facts of a dark side of American history. The slave narratives and artwork recreate the world of a pre-Civil War southern sugar plantation and memorial in honor of the lives of the enslaved people who toiled there. A short ride through sugar cane fields leads to St. Joseph Plantation, a Creole style family-owned working sugar cane plantation. Family members give a relaxed, intimate tour of their ancestral home and dependencies (including original slave cabins). This is an off-the-beaten path, away from large tourist crowds, small group tour. A 13 passenger tour van and excellent driver/guide pick you up at your New Orleans hotel and narrate the scenic 90-minute drive out of New Orleans. Ride along the shores of Lake Pontchartrain and prepare for a pilgrimage back in time to the Antebellum South. There will be a scenic crossing of the Mississippi River on a high suspended bridge. Then you'll take a short ride upriver to Whitney Plantation's Louisiana Museum of Slavery. Recently opened to the public, it exposes the harsh realities and raw historical facts of this dark side of American history. The 90-minute guided tour includes a short video detailing the history of this mansion from 1790 followed by a guided walking tour of the restored buildings and museum. The restored plantation outer buildings, exhibits, slave narratives, and memorial artwork recreate the world of a pre-Civil War sugar plantation and the lives of the slaves who lived, worked, and died there. A short ride through sugar cane fields brings you to St. Joseph Plantation, a Creole style, family-owned working sugar cane plantation since 1877. The one-hour tour gives you a fascinating glimpse into the lives of the many interesting people who have called this plantation 'home.' Many tours are guided by family members themselves. It is a relaxed, intimate visit to an ancestral home, grounds, and dependencies (including original slave cabins). The movie 12 Years A Slave was filmed there. Driving back to your New Orleans hotel takes 90 minutes. Lunch is not included but snacks and drinks can be purchased at both gift shops. On Tuesdays, Whitney Plantation is closed and replaced by Evergreen or Laura Plantation. 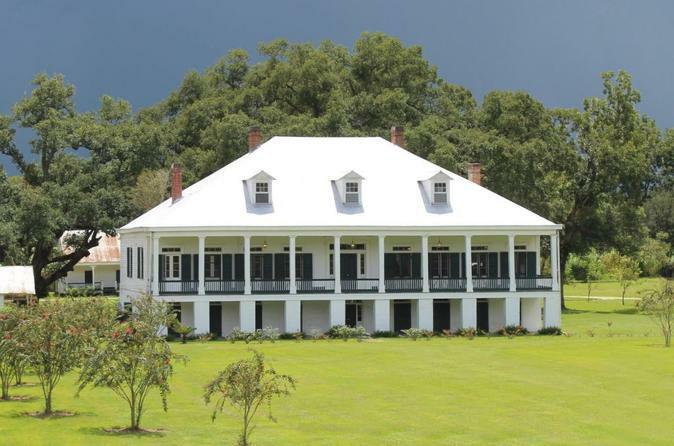 On Wednesdays, St. Joseph Plantation is closed and replaced by Evergreen or Laura Plantation.